At some point, you might need to contact Instagram. Maybe your account has been hacked or you’re noticing glitching on your account. Whatever the reason, we’re here to help you contact Instagram. Unfortunately, it’s unlikely you’ll receive a personal response from Instagram. With over 1 billion users, it’s extremely difficult for a functioning help center to exist. However, Instagram has great self-help resources for individual issues so if you need to contact Instagram for something, there will be solutions to your problems! If you need to report a problem or give general feedback, you can contact Instagram through the app. 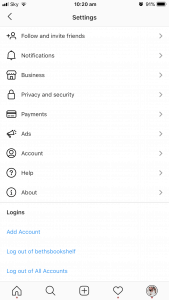 Visit Instagram settings from your profile. Choose “Spam or Abuse”, “Something Isn’t Working” or “General Feedback”. Leave your feedback and click “Send”. Instagram will simply say thank you. They won’t guarantee that they’ll respond but hopefully, they’ll at least read and consider what you’ve written! From the settings in the app, you can visit the help center which has a list of solutions to most problems you’ll face on Instagram. Although it doesn’t mean you contact Instagram directly, it’s a great way to find the answers to your questions. The help center has answers to just about everything. On stories alone, there are about 30 pieces of advice. You’ll certainly find most of your queries answered here! Instagram does have a support email so if you need to contact Instagram, try sending an email. However, you’re unlikely to get a response. It’s worth a try though! 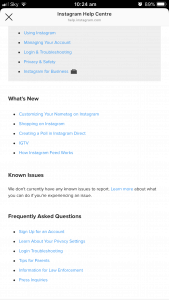 Send an email to support@instagram.com with your query or problem. Keep the email concise and include only necessary information. Instagram has its own Twitter, Instagram and Facebook account. You could try contacting them via these platforms. It’s certainly a long shot but if you’re desperate, you could try it! If you really can’t contact Instagram or find the answers to your questions, then you can problem solve! A Google search will bring up the answers to your questions whether that’s about a hacked Instagram account, help with the algorithm or setting up a business account. 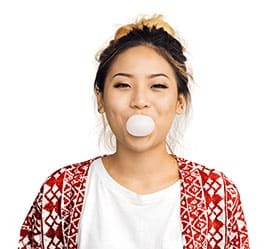 There are Instagram experts all over the world so even if you can’t contact Instagram, you will find a great community of people who can help you. 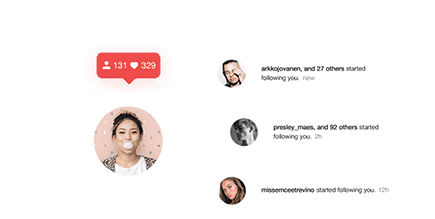 In fact, Upleap is a great option if you’re needing extra support on Instagram. With Upleap, you’ll get a dedicated account manager who is committed to growing your account, building your brand and targeting the best audience for you. Click here to start a free trial. Although it’s frustrating that it’s hard to contact Instagram directly, they’ve done a great job of setting up the resources you need to solve your Instagram related problems. Hopefully, you find the support you need online!